Dr Robert Lustig is a pediatric endocrinologist at UC San Francisco, and has become well known for his 2009 YouTube video, Sugar: The Bitter Truth. This video has over 7 million views as of April 2017. Here he is interviewed by CrossFit’s Rory McKernan to explain sugar’s toxicity, and how processed food—often loaded with refined carbohydrates and added sugar—is a huge part of the obesity and diabetes problem. Gary Taubes is an award-winning science journalist and the author of several books on nutrition, including Why We Get Fat (2011) and Good Calories, Bad Calories (2007). Why We Get Fat was the first one I read and it taught me so much, including how we have been misled for so long about how certain foods affect metabolism and health. 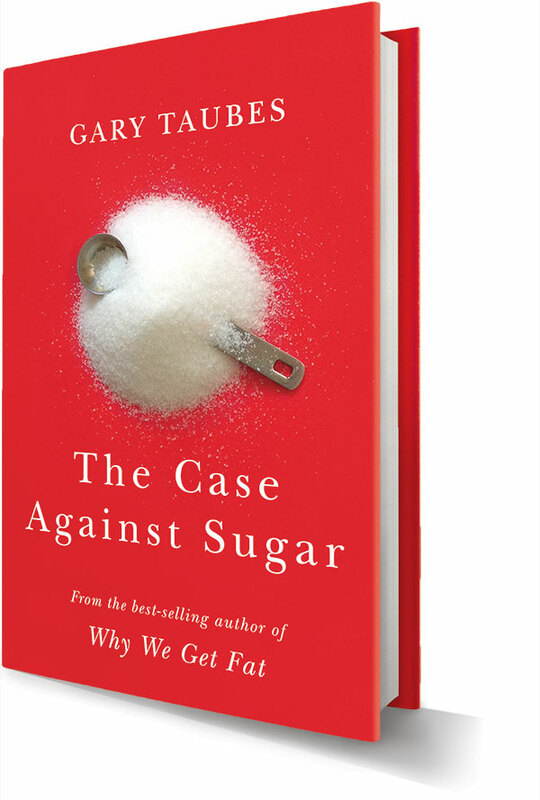 Mr Taubes has just published The Case Against Sugar, where he demonstrates how sugar alters hormones and metabolism, and is the major contributor to the current epidemic of obesity and diabetes, among other metabolic disorders. Aeon magazine has published a chapter online from The Case Against Sugar and it is a good read. A few excerpts from this below. As it turns out, virtually all hormones work to mobilize fatty acids from fat cells so that they can then be used for fuel. The one dominant exception to this fuel-mobilization signaling is insulin, which partitions how we use the fuels we consume: in particular, it directs fat cells to store fat, while facilitating the uptake and oxidation of glucose (blood sugar) by muscle and organ cells. In other words, when insulin is secreted – primarily in response to the carbohydrates in our diet – it directs our cells to burn carbohydrate as fuel and store fat. Yalow and Berson themselves described insulin as a ‘lipogenic’, or fat-forming hormone. This lipogenic signal must be turned off, or at least muted significantly, for the fat cells to release their stored fat and for the body to metabolize it for energy. […] The more we consume carbohydrates, though, and particularly sugar, the higher our insulin levels will be. Insulin is secreted in response to rising blood sugar, and rising blood sugar is a response to a carbohydrate-rich meal. Sugar is implicated, in particular, because its chemical structure includes a large proportion of the carbohydrate fructose, and fructose is preferentially metabolized in the liver. As such, it is a prime suspect for the fat accumulation in liver cells that is hypothesized to be the trigger of insulin resistance itself. Hence, the same dietary factors – sugars and refined grains – trigger both obesity and diabetes. By focusing on the problems of eating too much and exercising too little, public health authorities have simply failed to target the correct causes. Great article at the New York Times by Dr Sarah Hallberg and Osama Hamdy. Rather than cutting on perfectly healthy organs to deal with weight loss, why not use a dietary approach on a dietary problem: cut out the foods that contribute to obesity. When someone has diabetes, he can no longer produce sufficient insulin to process glucose (sugar) in the blood. To lower glucose levels, diabetics need to increase insulin, either by taking medication that increases their own endogenous production or by injecting insulin directly. A patient with diabetes can be on four or five different medications to control blood glucose, with an annual price tag of thousands of dollars. 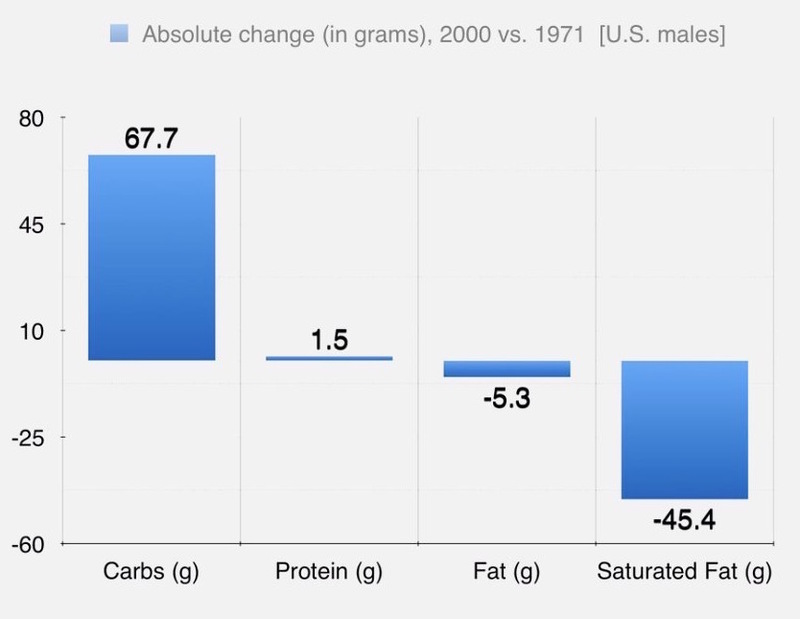 From DietDoctor.com — a look at the change of macronutrient composition in our diet from 1971 to 2000. As we transitioned to the recommended low fat approach our carbohydrate intake increased dramatically. It had to, because there are only three macronutrients: carbs, protein, and fat. If you restrict fat you will by default consume more carbohydrate-rich foods. 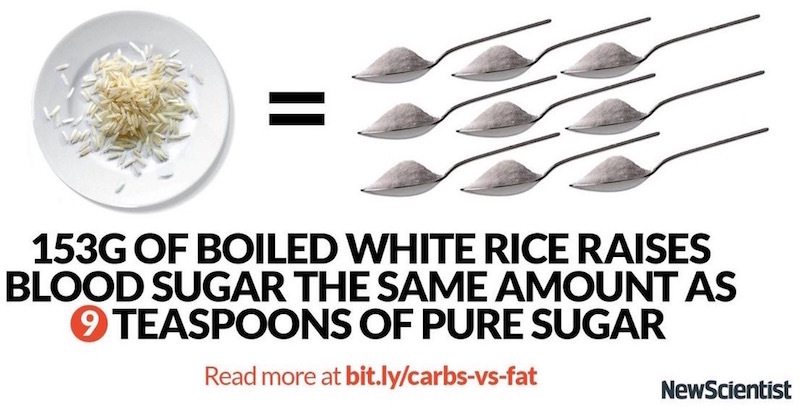 The LCHF approach flips this to reduce carbs (sugars, starches, grains) and increase the fat content. The typical result of this is healthy weight loss as well as improvements in several metabolic markers like HDL, triglycerides, blood pressure, and insulin sensitivity. 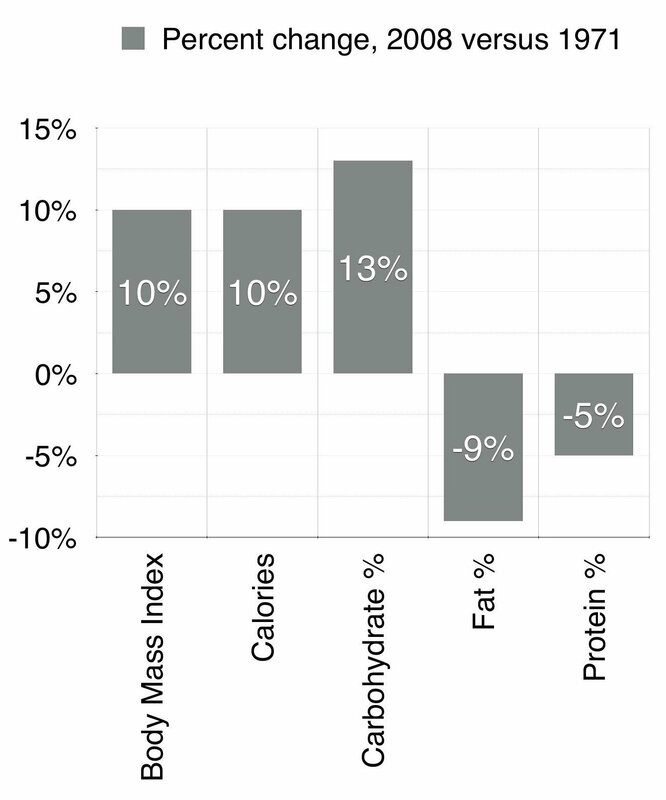 Another look at macronutrients and associated effects from this study. 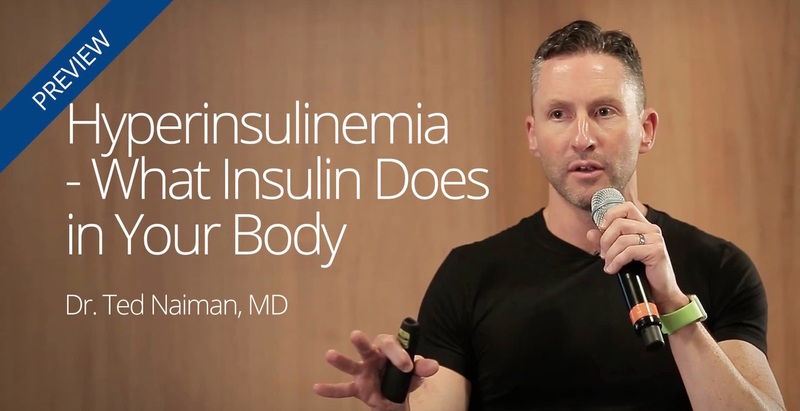 This two-minute clip from Dr Ted Naiman’s presentation is a brief explanation of the obesity epidemic. It is about the activity of insulin in the body. 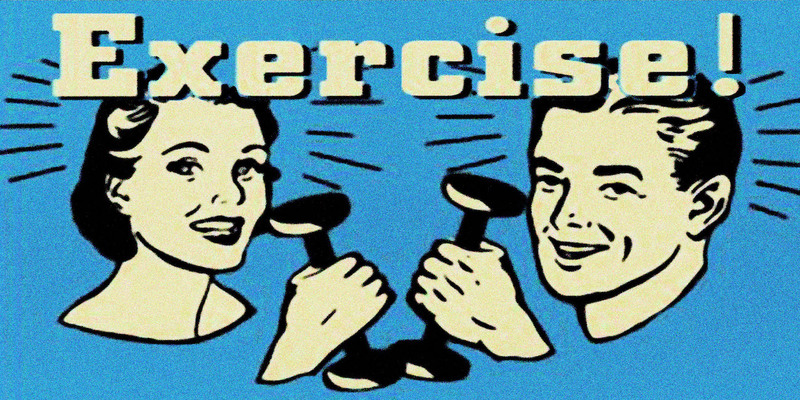 For most people, this is resolved through diet — not pharmaceuticals or exercise (although exercise is important). 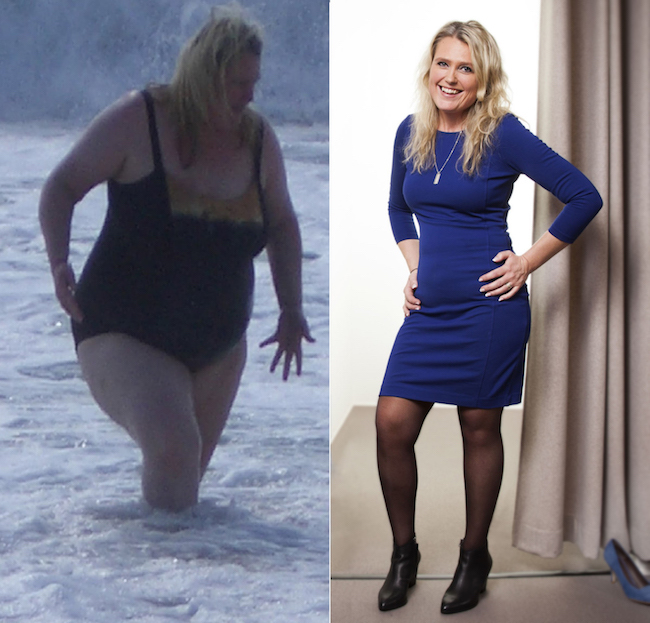 Click the image below to view the video clip on DietDoctor.com. For the full video presentation, and a lot more great information, you can become a member of the Diet Doctor website for $9 per month. I am not affiliated with the site in any way, but I am a paying member and it is an excellent resource for anyone wanting to understand more about how a low carb approach can transform health. Highly recommended. 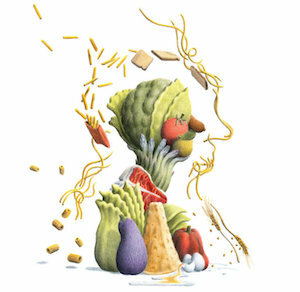 The traditional “balanced diet” may be way out of whack. To fight obesity and diabetes, doctors and nutritionists are embracing diets that were once called fads. “PEOPLE have told me what I do is dangerous. They have walked away from me at meetings,” says David Unwin, a doctor practicing in Southport, UK. Unwin suggests to his patients with type 2 diabetes or who want to lose weight that they do the opposite of what official health advice recommends. He advises them to stop counting calories, eat high-fat foods – including saturated fats – and avoid carbohydrates, namely sugar and starch. Telling people to avoid sugar is uncontroversial; the rest is medical heresy. But crazy as it sounds, Unwin has found that most of his diabetes patients who follow this advice are getting their blood sugar back under control, and that some are coming off medication they have relied on for years. Those who are overweight are slimming down. This might seem like just another controversial fad diet, but a growing number of researchers, doctors and nutritionists around the world are backing it, and reporting their findings in peer-reviewed medical journals. Last month, the National Obesity Forum, a UK body for health professionals involved in weight management, made headlines when it overhauled its advice, telling people to ditch calorie-counting, low-fat foods and carbs in favor of fats. 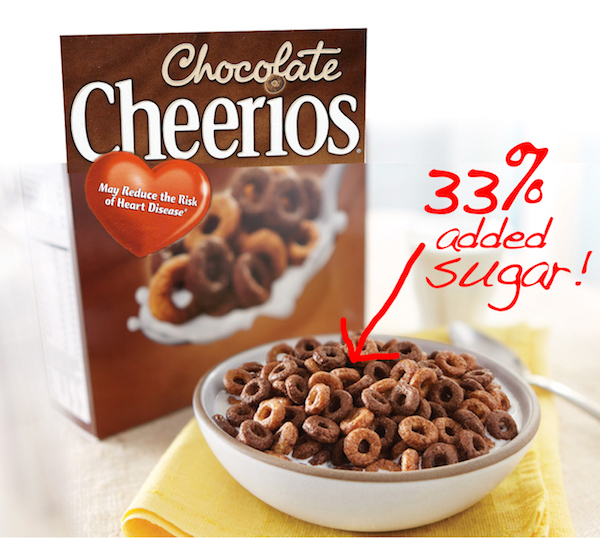 The Chocolate Cheerios Miracle: prevent heart disease by eating breakfast candy! 33% of the contents is added sugar, the rest is mostly starch. Ingredients include sugar, corn syrup, canola oil, artificial color. Perfect for anyone seeking obesity, Type 2 diabetes, and a variety of other metabolic ills. How do they claim it “may reduce the risk of heart disease”? — because it is low fat. But low fat does not prevent anything. The goal is to keep people scared of fat while loading them up on sugar and refined carbohydrates, which is exactly what is making people fat and sick. This is the kind of thing still being recommended by government and health “authorities” around the world. Why? Because we have a politically powerful medical industry that profits from a sick population. There’s no money in healthy people or dead people — the financial sweet spot is in chronic illness.